MTN Nigeria, in partnership with Co-creation Hub, launched an App Developer Challenge. The competition, MTNApp Developer Challenge, is focused on development of local content relevant to the Nigerian market. This competition, targeted at mobile application developers, is designed to empower Nigerian developers and tech entrepreneurs to build locally appealing and relevant apps for the millions of customers who rely on MTN for their daily lives. 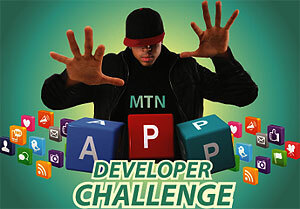 The MTNApp Developer challenge 2013 is open for application from students, graduates and tech- savvy individuals or teams. Top 4 Apps will be shortlisted from each category based on number of customer downloads and judged based on the criteria listed above. Registration is open to both individuals and/or teams. You must SELECT the mobile app idea you want to contest in, from any of the eligible categories as listed above. Once you have submitted your app, drop a mail with the app(s) name and your developer account name along with valid identification (i.e. international passport, valid driver’s license or voter registration card) at mtndeveloperchallenge@nexva.com and you may be on your way to win a great prize. If you are submitting an app for the Student category, please indicate in the email sent to the mailing address above. Submit your final App by the deadline date indicated below. You have from 24th July to 24th October to create or improve and submit your mobile apps. Final submission is on 24th October, 11.59 pm.